The European countries are too much preoccupied with their domestic concerns to attach any priority to the Comprehensive and Enhanced Partnership Agreement (CEPA) with Armenia, according to Fyodor Lukyanov, the editor-in-chief of Russia in Global Affairs and the chairman of the Presidium of the Council on Foreign and Defense Policy. In an interview with Tert.am, the expert cited the internal crisis in different EU member countries, noting that most of them “have lost their one-time interest in integration processes”, including with member states of the Eastern Partnership (EaP) Program. 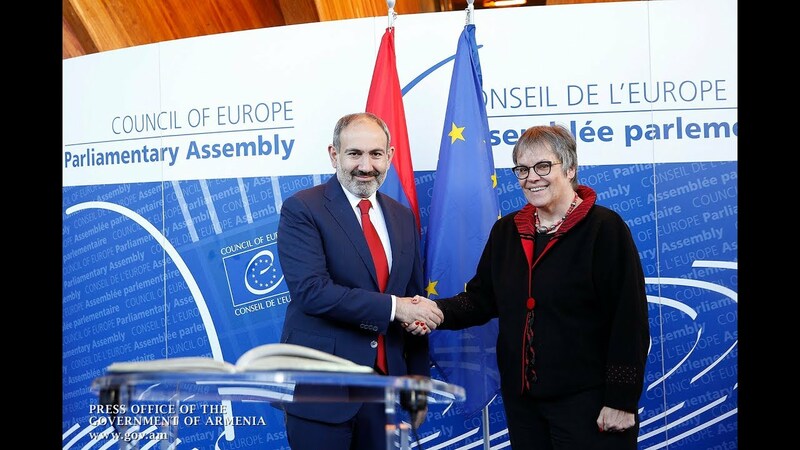 The Comprehensive and Enhanced Partnership Agreement between the European Union and Armenia has so far been ratified only by nine out of the 28 member states of the European Union. Is the process being artificially dragged on or are there probably other problems accounting for the slowdown? I don't think there is anything out of the ordinary here. A number of documents, signed as part of the Eastern Partnership Program, are currently pending ratification by the EU. They were elaborated and signed in an ‘era’ which is long past for the EU - in a period when the EU kept the integration with the Eastern partners on top of its agenda. That era is now gone, and the issue is no longer on the agenda. You see what is going on in the European Union; all the member states have plunged into an internal political crisis, with only the domestic problems and the quest for their solution dominating their agenda. The integration process has virtually stopped. Even Ukraine has lost its exceptional importance for the EU. What matters is also the internal psychological atmosphere dominating the European Union. The political parties which are gradually strengthening their positions are developing a negative attitude to the expansion of the EU, cooperation with other states and their membership [in the Union], as they believe it undermines the EU system. Do you mean the EU member states are pre-occupied enough with their domestic problems to make the ratification of the Agreement with Armenia part of their current agenda? Yes, the agreement signed with Armenia is now in the fifth or, if you will, the tenth place for them. When is the European Union likely to overcome the crisis? What does that depend on? If you think the European Union will move to ratifying the agreement with Armenia shortly after overcoming the crisis, I personally believe that the ratification will take place in any case, as there are little chances that it will ever be excluded from the agenda. Without a political signal, however, this issue may drag on too long. The agreement may not be ratified for quite a long period without the exercise of a political will, as it is not in the interests of the EU member states per se. There are states which do not absolutely need this agreement, and also states which are opposed to the European Union’s expansion. They are not against Armenia but the expansion of the EU. Who is then supposed to impose that political will and on which party to achieve the Agreement’s ratification? It is hard to say it for now. The European Union should clearly be an initiator given that their very efforts contributed to the Eastern Partnership Program. The EU does not want to pay the heavy price to get entangled into political fermentations. You said that Ukraine has lost its exceptional importance for the EU. Given that the West no longer pursues the same interests in the post-Soviet republics as did before, is that likely to increase the Russian interest in those countries? I am not sure. Russia is not currently capable of increasing its interests. The Ukrainian case stands separate from those of the other EaP countries. The entire Europe has got sick and tired of Ukraine; they just cannot give it all up for now. I expect a symbolic minimal attention to the eastern countries. Doesn’t the European Union’s see its expectations met in regard to the EaP countries? Yes, not only [those countries] failed to live up to the expectations, but also those expectations themselves were in a way exaggerated. In the case of Armenia, I think, everybody understands that the country has security-related concerns. Armenia does not have an alternative other than the Russian guarantees, as nobody wishes to offer other guarantees to Armenia.